Jerry’s is legendary for their “supreme” snow cones – soft serve ice cream is layered with snow cone in a styrofoam cup. It sounds a little strange, but once you try a blackberry supreme, expect to become a convert. There’s just something about the way the fruit flavor combines with the soft serve that’s pure, frosty magic. The Sweden Kream in North Memphis is a lot of things -burger joint, breakfast spot, purveyor of hot wings. Most importantly, it’s ice cream stand with one of the best chocolate shakes in town. Don’t expect superfluous toppings, just a cup of thick, creamy chocolate goodness. Bubble tea is hugely popular in Asia. It’s sort of a cross between a slushie and a smoothie (they’re made with pureed fruit), and it has little black tapioca pearls floating in it. Stick a giant straw in the sealed top of the cup and slurp up the sweet, creamy treat. While I chose to play it safe with the watermelon-apple combination, there are plenty of options for more adventurous drinkiners (like taro and avocado). 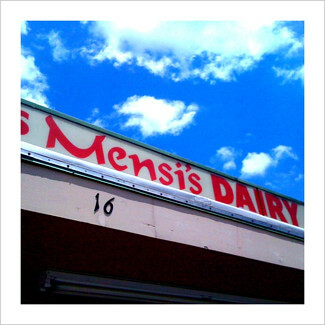 Mensi's Dairy Bar, Collierville, Tenn.
Mensi’s Dairy Bar is an old-school burger shack and ice cream stand just east of the Collierville town square. They’ve got milkshakes and snow cones, but the real winner is their soft serve ice cream. The flavor selection is a little limited, but when the heat index is pushing 100 degrees, who cares? All of the shakes at the Wiles Smith Drugstore lunch counter are made the old-school way: by hand. The nearly perfect shakes are served in the frosty metal mixing cup it was mixed in. You can also order coke floats, banana splits, chocolate sodas and malts at the counter, which is located in a stuck-in-time Midtown drugstore. The popsicles on the menu at Automatic Slim’s aren’t exactly popsicles. They’re martinis with frozen cinnamon sticks and mint. The mojito popsicle was minty, boozy and a little creamier than a standard mojito. 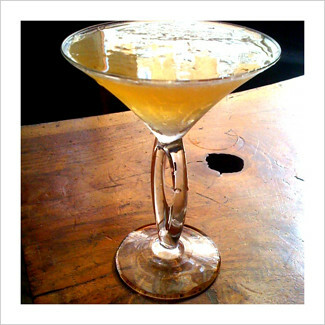 It’s served in a larger-than-average martini glass. Sean’s cafe is part convenience store, part Middle Eastern diner, part vegan cafe, and part smoothie stand. Their 24 oz smoothies are made with frozen fruit, sorbet and juice. If you want to make your frozen treat extra healthy, add a protein powder “booster”. Cafe Eclectic serves scoops of dense, cold gelato at their midtown location. Usually, they’ve got four flavors to choose from (everything from berry to coconut and mango to pistachio). 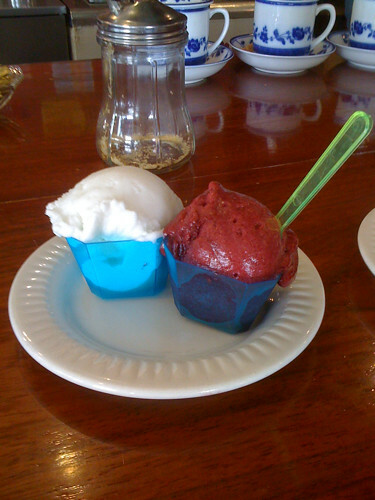 The scoops may look small, but the gelato is insanely rich. FYI y’all Square Beans in Collierville now serves gelato AND we are open til 10 PM Thurs-Sat – come on out! 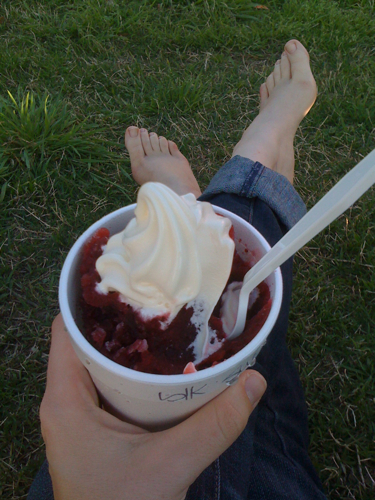 Just finished a Blackberry Supreme from Jerry’s…..thanks for the tip…it is now my favorite!! You missed one of the best…popsicles (paletas) from La Michoacana on Summer Ave.